Like the famous fabric from the Far East the music of Batik consist of multicolored lines creating fascinating patterns, blending traditional forms with new ideas and letting spontaneous interaction merge the elements into a very original sound. 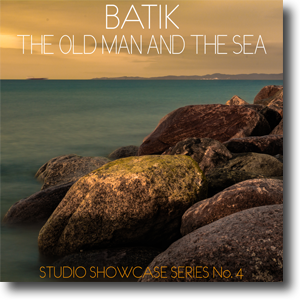 BATIK is the latest brainchild of Wolfert Brederode (ECM recording artist) and Joost Lijbaart (Yuri Honing). With guitarist Ed Verhoeff and bass guitarist Mark Haanstra (two of the most in demand musicians on the European scene) they have formed a quartet capable of visual and inventive music making. Joost, Wolfert, Ed and Mark. As they are not ''separated'' by the headphones, the musicians, in order to hear each other are forced to create a natural and musical balance, a balance which is then easily captured by the main stereo pair of microphones. Because of the natural and musical balance the need for compression to control levels is no longer necessary. Since everybody is in the same room, the boxed sound which is so common in many modern recordings is absent and the sound of the room helps ''glue'' the sound of the recording. The room (studio) has to have a good sound. We have to be very precise when choosing and placing the microphones and the puzzle of placing the musicians at the right distance to the main stereo microphones and the right distance to each other, is also time consuming. And when we have a live audience in the studio, we pray that they remember to turn of their cell phones and the ones with a bad cold choose to stay at home. The room where the recordings has been done is the now legendary Studio Eleven situated in the building of the Dutch World Broad Casting Service. The Studio was used extensively in the 60's by European and visiting American jazz musicians like Wes Montgomery, Cannonball Adderley, Dexter Gordon and Eric Dolphy. The Dutch World Broad Casting Service asked Frans de Rond to bring the room back to life as a recording studio and Frans, after seeing and hearing the room, jumped at the opportunity. Sound Liaison has been allowed to use the room for our audiophile projects and we are eternally great full to the Dutch World Service for this opportunity.